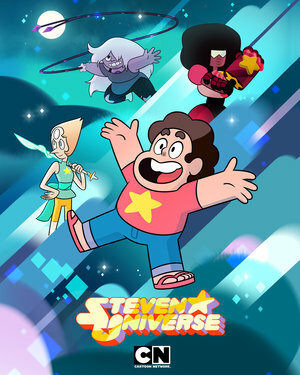 The show is about the adventures of a boy named Steven, the youngest of a team of magical guardians of humanity: the Crystal Gems. Steven may not be as powerful as the other Crystal Gems. Or as savvy. And he doesn't have much control over his powers, which originate from the gem in his bellybutton inherited from his late mother. But that doesn't stop him from joining Garnet, Amethyst and Pearl on their magical adventures and finding a way to save the day! Discuss all the thoughts about Steven Universe! Its a good show, I haven't seen all the episodes yet but I enjoyed the ones I have seen. It's quite a surprise that Peridot joined the Crystal Gems, and actually be there for a handful of episodes. Am I the only one who thinks that Lapiz kinda looks like Cernia without the white hair?